Home featured How to buy Patanjali Sim card ? 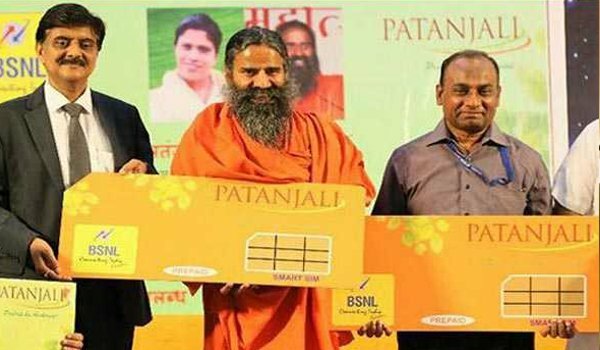 Patanjali patanjali bsnl patanjali sim card Patanjali Sim card kaise khareeden? patanjali sim card plans ssc-card How to buy Patanjali Sim card ? 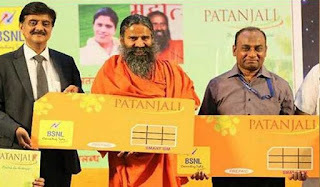 How to buy Patanjali Sim card ? How to buy Patanjali Sim card? After the announcement by Patanjali Pvt Ltd, we all consumers are very happy now. This was a modern era war of data between telecom companies. Baba Ramdev is doing a great job for consumers. But everyone is in confusion and have a question in their mind like How to get Patanjali SIM cards and from where to get Patanjali SIM cards?. So there is a good and exciting news for we consumers that the Patanjali SIM cards are available for us in the store now. To get the Patanjali Sim card we have to go to the outrage of BSNL or nearest office of the BSNL. We can get the Patanjali Sim there. But these are only available for MP and Chhattisgarh state. First of all you have to go to the BSNL office and you have to purchase a Swadeshi Smariddhi Card(SSC). Like PayTm card, ATM card, Debit Card, Patanjali have also launched a SSC-Card for the consumers. If you are familiar with the Metro Card you can relate to this. You have to recharge this card for available facilities. You can also purchase Patanjali products using these cards to avail huge discount. You will get 5-10% discounts on every purchase using this SSC-Card. You will need basic documents such as Aadhar card, PAN card etc. to get that SSC-Card. You have to pay Rs. 20 as annual charges and Rs 20 will be deducted from your SSC-Card annually. You have to maintain minimum balance around 500 rupees to avail the facilities. Us card ke liye aapko 100 Rupees ka subscription charge lagega. You have to get a subscription of around 100 rupees for that card. You have to pay Rs1000 to get that card but don't worry out of 1000 full amount i.e Rs 1000 rupees will be added to you SSC-Card. We don't have to pay any extra charges. Once you got the SSC-Card you can easily get the Patanjali Sim card. Swadeshi Samriddhi card of Patanjali also gives life insurance cover of Rs. 5 lakh and accident insurance cover of Rs. 2.5 lakh,” the telecom company added. All you have to do is to find nearest BSNL Office. Note: Facilities only available in MP and Chhattisgarh by now.